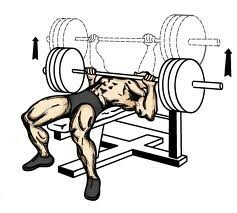 Universal Bench Press Test. The objective of this test is to monitor the strength of the athletes elbow extensors and the pectoral muscles. This test is suitable for active athletes but not for individuals where the test would be contraindicated. No published tables to relate results to potential performance in competition.